THE UK'S LEADING IMMIGRATION BARRISTER LAW FIRM. 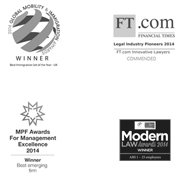 Richmond Chambers LLP is a multi-award winning partnership of specialist immigration barristers. Based in the heart of Covent Garden, our immigration barristers provide expert legal advice and representation, directly to individuals and businesses, in relation to all aspects of UK immigration law. We combine the expertise and quality of the Bar, with the service levels of a trusted law firm.